Sometimes you stumble across a portfolio where the artist only has a couple of comic based pieces, other times there can be just one work so brilliant, you'd risk being stoned to death by fellow art lovers for putting something else beside it. These are Random Works of Wow, and illustrating the point this week is artist Andrei Riabovitchev and his concept design for Havok, from the movie X-Men: First Class. Now that's a serious makeover! Can you imagine seeing that on the big screen? While it could also work to an extent as a look for Chamber, I really dig how he's rendered the energy rotating around Alex's hands. 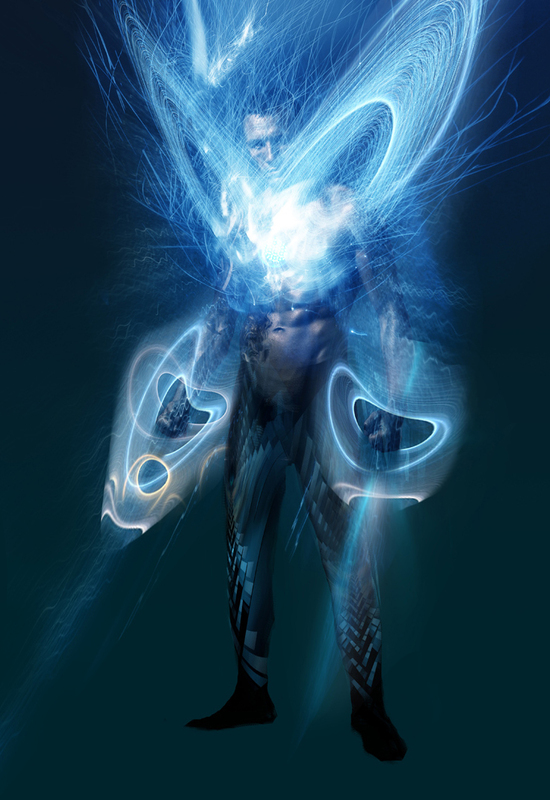 Plus by making Havok look at you from behind a wall of energy, it gives him a removed feeling, like he usually plays in relation to his brother Cyclops. What do you think? After you've clicked to enlarge, sound off below or to view more X-concept art, including Sebastian Shaw and The Beast, visit Riabovitchev on blogger, after the jump. Looks like its made with one of those 'lightbox' thingys, that produces electrical patterns. It does definitely catch your attention huh Karl. Always a fan of the unsung Alex Summers, I've made it my smartphone wallpaper for now. On a light up screen with brightness on full it even becomes something else.